When you refer to high-yield checking accounts these days, it is important to understand that, what you might actually be getting is just a small return on your money. The interest rates these days even in the high-yield account is nothing much to talk about. However, checking accounts are still a good choice if you wish to make a saving and earn a small interest on it. One of the main advantages of having a high-yield checking account is that the interest rate offered here is slightly higher than other standard checking accounts. There is more liquidity when compared to a certificate of deposit. It is also much less riskier when compared to stocks and bonds, states Chris DesBarres, who is the co-owner of Help Unlimited which is a money management service from Winston-Salem, N.C. This account offers liquidity and is especially useful if you wish to have ready access to your cash but whereas, CD or other forms of investment cannot offer such liquidity. If you have invested in a high-yield account, you will not only earn interest but you can be rest assured that you will have the liquidity as well. The interest rates on such high-yield accounts are normally pegged on to account balances. If you keep around $25,000 or $100,000 in a few accounts in the same institution, you will be able to earn a small interest rate bonus on the checking account. The rate and deposit information that is available on the websites of several banks contain this. The rates are non-negotiable and may change at any point in time, and may also come in tiers that go up as the balance increases. But according to the data from Bankrate, the rates on checking accounts range from 0.01% to 1%, although there is no prevailing or universal rate as such. Added to this, online accounts also offer some of the higher rates. Des Barres has stated that they more you money you put into these high-yield checking accounts, that much more would be the yield. In the traditional brick-and-mortar banks the high-yield checking accounts do carry the monthly fees but it can be waived off by maintaining a minimum balance or by using any of the other banking services. The monthly fees can be squashed by carrying out several direct deposits or debit card transactions every month. 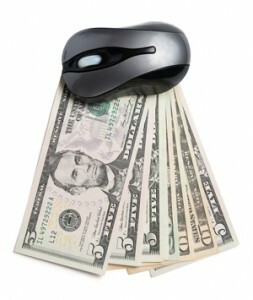 But, a drop in minimum balance or failing to comply with the requirements can attract charges of $10 to $30 per month.